#4255634 Can you go home again? 1, Store $FF (255) in $0244 (580). 2. Jump to either $E474 (58484), or directly to OS documented PWS entry point, $C290 (49808), which is where $E474 will take you, anyway. Bam! Full reset, and base memory is ALL clear, until the first NON-RAM address. Just the mere fact it's in the $Cxxx area means it's outside the realm of the original OS. "Documented" doesn't mean squat. It's still not a recognised legal entry point, and the only usage case would be if you're developing a custom OS and using it from within it. Anyway - feel free to continue your false beliefs, it's not as if you'll be releasing software that's going to affect people due to them. Of course I will. I would only correct that it is $C290, instead of $C2A1 (that was from my own memory, just checked my own dissassembly-notes). In fact, $E474 is a mere jump to $C290 (PWS) which is why PWS is declared as official entry point in source code. $C2A1 is PWS1, which allows to test COLD-START without veriying cart-equivalence (status), which I needed for some particular carts and test scenarios. In BOTH cases, BASE MEMORY will be erased if $0244 is set to $FF first, without even cycling the power switch, which will help anyone here having delays with RAM-content reset. You don't know the OS deeeply enough, and for that, no one needs to be releasing any software, of any kind. Unreleased, never completed, Atari 8-bit game, "Last of the Incas", by Atari/Chris Crawford from Feb - Mar 1984. Gotta LOVE these out-of-the-hat rabbits! latest version (2.25) DOES NOT work properly. That is, it DOES NOT detect AXLON 1MB expansion correctly in Colleen mode, whereas 2.24 works perfectly. 1. Fire up your Incognito or Ultimate-1MB setup under SDX, with PBI=ON and HD=ON on advanced BIOS. 2. on SDX prompt, load System Information 2.24 (SI 2.24), and set IO to OS, and DMA=OFF. 3. Run HD performance teds (preferably on empty HD / APT partition on SDE 1/2). That gives you an idea of MAX attainable performance, but WITHOUT knowing exactly the logical structure / size of records being moved (overhead). Well it certainly does not look like static animated 16 colour C64 screens which anybody with a set of eyes can plainly see. This is what I was replying to in my original post ("it wouldn't look like TV, it would look like full screen C64 animation"). But the FRAME-DROPS are disturbing on those samples. NTSC TV is not like that, not even REMOTELY. My apologies if I did not clearly emphasize this point. 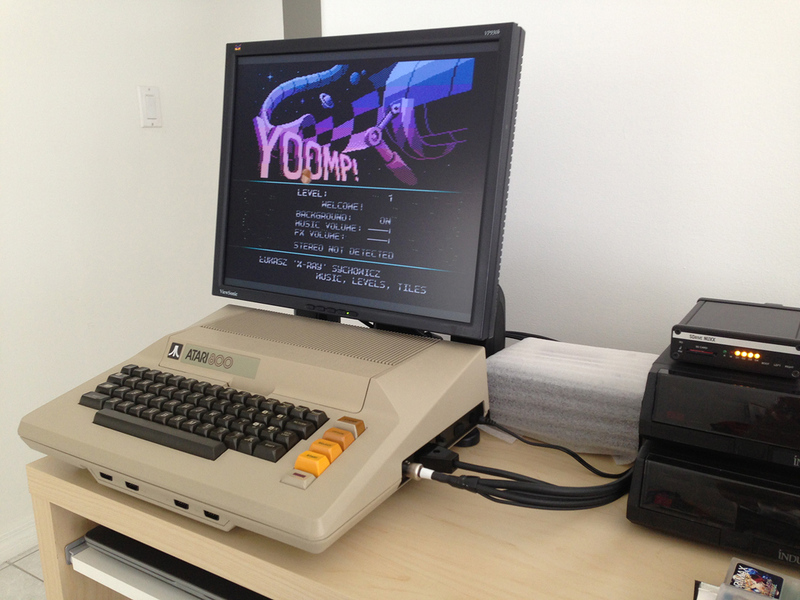 You could clearly say, on the other hand, that the C64 could play back video at a potentially higher resolution (and more colors? ), but not meeting NTSC (broadcast framerates) and possibly NOT being able to do so with its on-board resources... That will not necessarily invalidate it, just frame it in a different implementation context. The Atari, on the other hand, is more of a show of brute force of all on-board core components in concert, for this specific application. I honestly don't expect anyone here watching lengthy videos on either platform, anyway. Which test yields the figures you're observing? 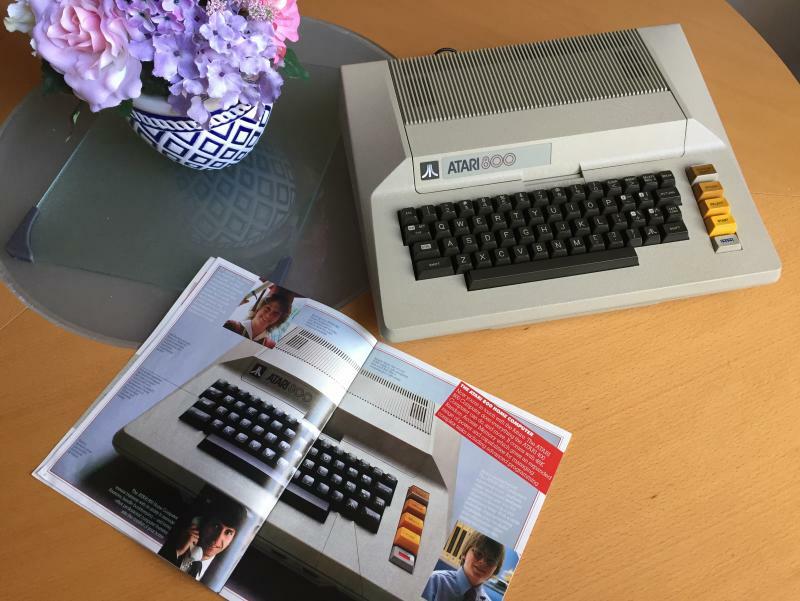 #4194284 Is possible to upgrade the memory on the Atari 800 ? 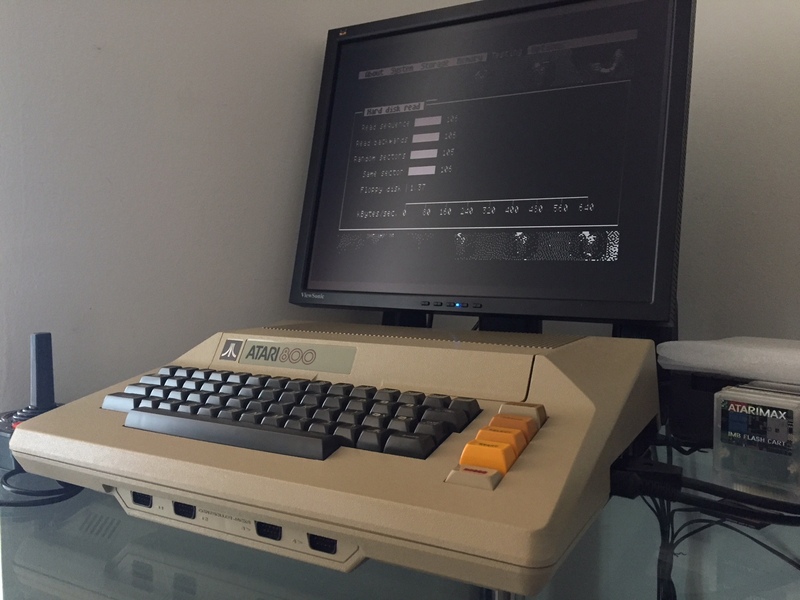 Hi someone knows if possible/how to upgrade the ram on the Atari 800 to get it compatible to the Atari 800 XL 64k ? Maybe some product that is for sale ?, or a hardware hack ?. As an owner of twin 800XLs and 800-i, no doubt the 800 is the real McCoy, in that group. Yeah, just that tiny, uninmportant little detail. NO ONE here will restrain you (in any form or shape) to go back to your kiddie C64 computer (if you own one). You are absolutely free to do so, and that is PRECISELY why you have so many games for it. I am SURE that, among the large heap of kiddie stuff, you may find something worth of your or anyone else's time, for this matter. For the rest, I would wholeheartedly agree that you will find plenty of your comedy-gold material, there. Even my Hong-Kong Rev.C 800XLs (with ALPS keyboard and motherboard with red / integrated resistors on right-side ports), feels a lot better built than anything I handled from Commodore. 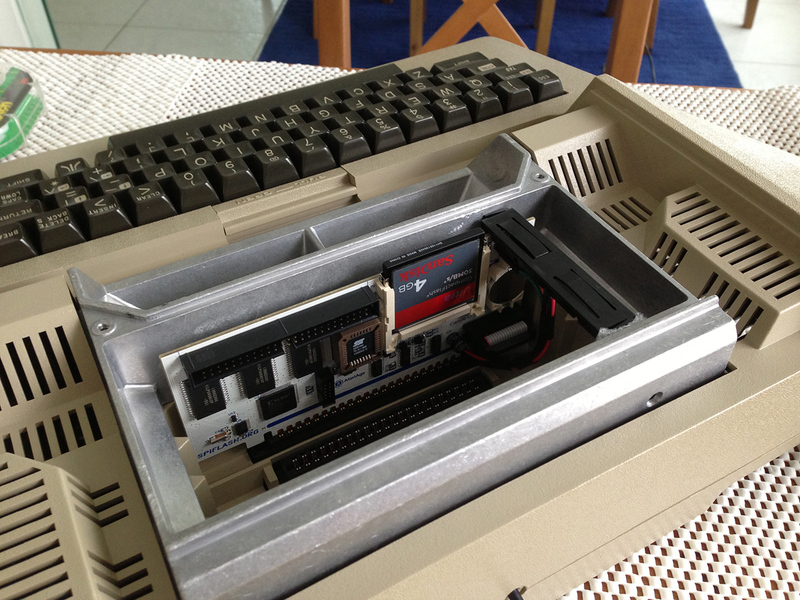 Now, the C64 next to the 800 feels like a kids toy, to be honest. Let's not even get there. I realised the other night that there was no need to disable internal BASIC via the HATABS patch employed for the PBI version notice anyway. The PBI BIOS always gets a crack at the first SIO request regardless of whether any ATRs or hard disk partitions are mounted on the boot drive, so it was sufficient to simply move the BASIC check to the top of the SIO handler. This avoids the awkward issues with Monkey Wrench II. 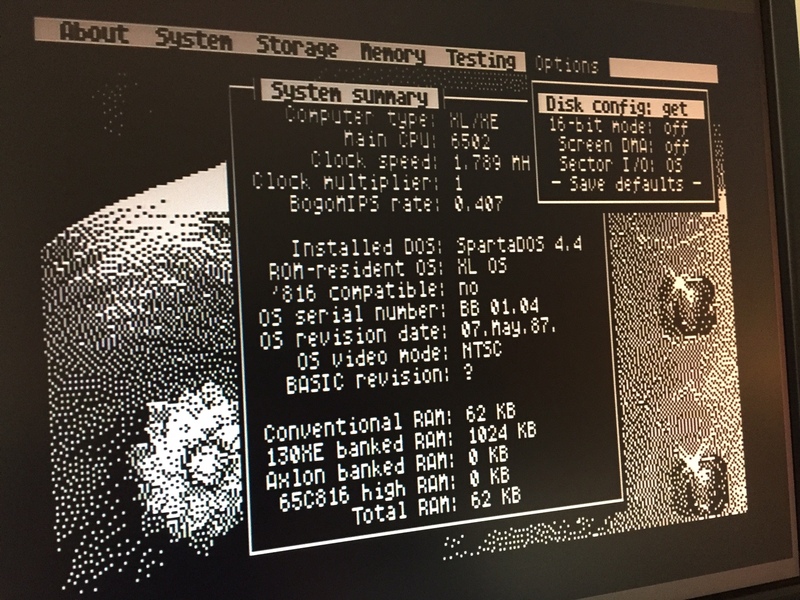 We now have FULL, COMPLETE support of LEF+RIGHT cart (or for just ANY right-cart), booting on XL/XE mode under Incognito's advanced BIOS, without compromising ANY functionality originally contemplated on Atari OS nor the BIOS itself. Simply BEAUTIFUL !!! Our work here is now done! The loader's FMS driver (i.e. the thing that lets you access the FAT via D1: when you load an XEX direct from the loader) now supports paths and FAT subdirectories. It supports XIO 44 and 48 (CHDIR get GET CURRENT PATH respectively) in a manner generally consistent with SpartaDOS X. No long directory format or RAW directory access or any of that stuff; only what's needed to get full access to the entire FAT volume via the CIO. The supplied version of UFLASH - if run direct from the loader - supports subdirectories in the file selector (same way it does when run under SpartaDOS X). The BASIC suppression/PBI version notice patch has moved from $8000 to $5000. The presence of right 8K or 16K carts should no longer obstruct management of internal BASIC via the (renamed) 'BASIC State' setting in the main BIOS. Note that the method of BASIC suppression employed to facilitate no-BASIC ATR and HDD boots has not changed. The loader no longer runs code out of $8000-$9FFF. All RAM-based code has been moved towards the bottom of memory and the FAT directory buffer now starts at ~$5000 and extends up to the bottom of ROM, which is to say the loader's own ROM at $A000 or any other ROM at $8000 which can't be suppressed while the loader is active (which is really an Incognito-specific issue, although the U1MB benefits from the change too). There's another tool called 'CLI.XEX' which is a simple shell for testing FAT folder tree navigation when run direct from the loader. Flashed to my own Incognito here without incident. Feedback appreciated. Based on results, I will seriously consider bringing RIGHT-cart boot-manager extensions for the XL/XE series, as well (e.g. 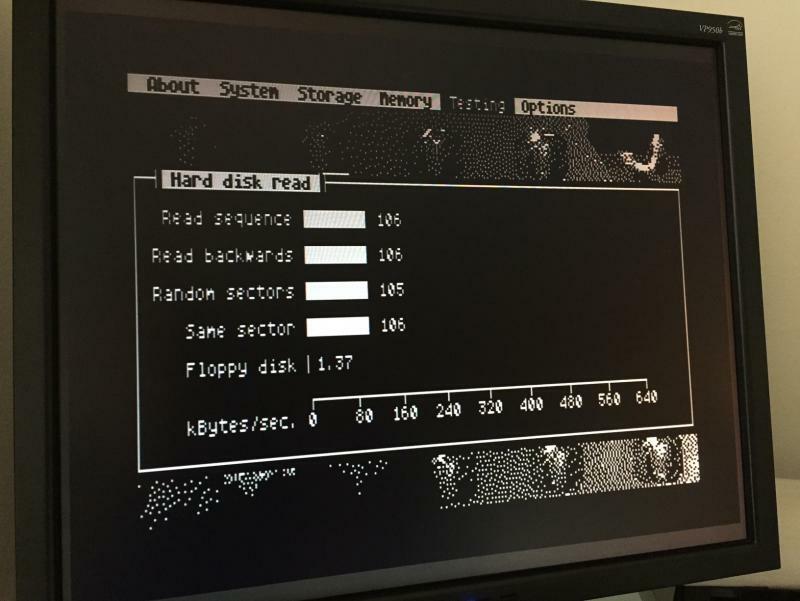 ability to recognize and boot merged 8K+8K images with executable code on $8000-$9FFF space).